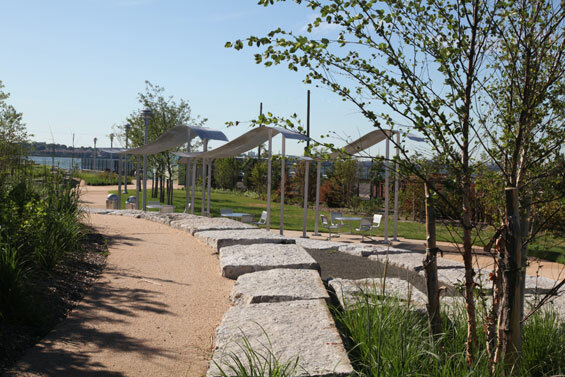 Mathews Nielsen Landscape Architects, announces the opening of Hunts Point Landing. 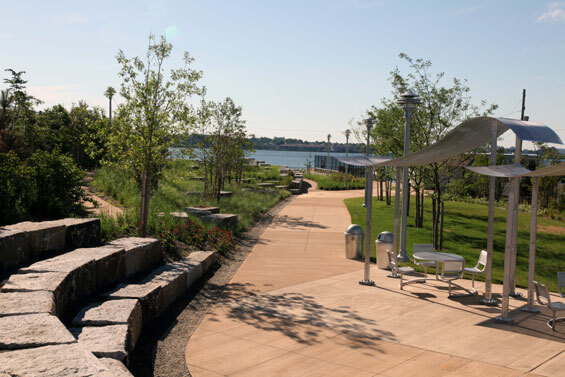 Hunts Point Landing is part of the South Bronx Greenway Master Plan which creates sustainable connections between the waterfront and the residential and business communities in the Hunts Point peninsula.The plan is designed to address needs of the South Bronx’s businesses and residents through a process of community-building design and collaborative planning. 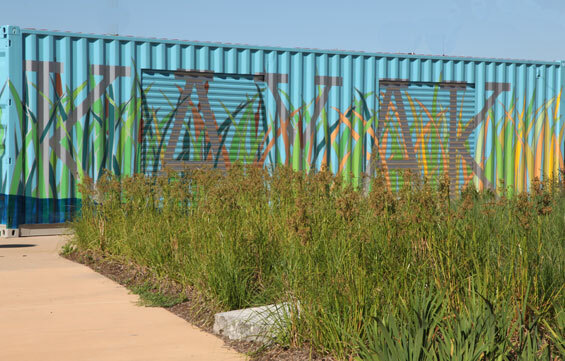 The new park is one of just eight projects to achieve certification in the prestigious pilot SITES (Sustainable Sites Initiative)program, selected from among 150 considered. 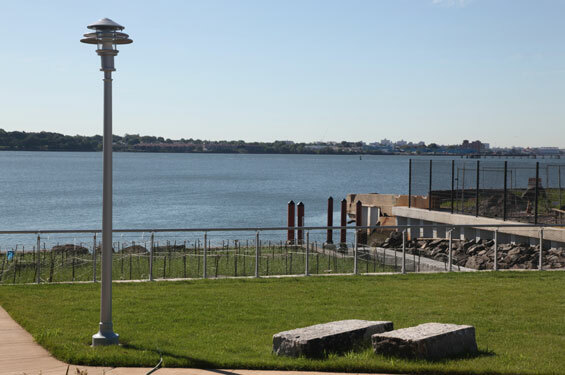 Located at the confluence of the Bronx and East Rivers, the 1.5 acre Hunts Point Landing site offers panoramic views and public waterfront access and is linked to other bicycle and pedestrian improvements now underway. Water-based public recreation opportunities there include a fishing pier, a kayak and canoe launch, and a restored shoreline. Indicative of the sustainable design practices that infuse the entire project, the shoreline will become an educational demonstration of the interaction of fresh and tidal waters. 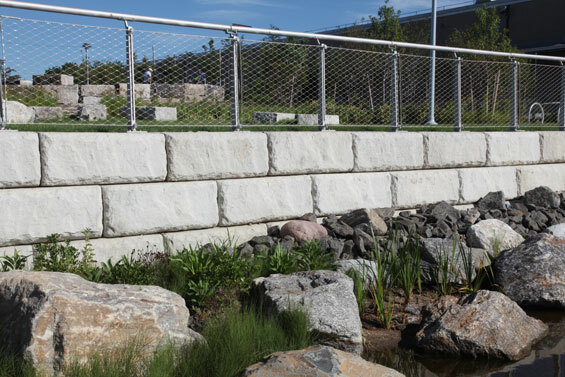 Its innovative design has been recognized by the National Oceanic and Atmospheric Administration (NOAA), which provided grant money toward its construction. 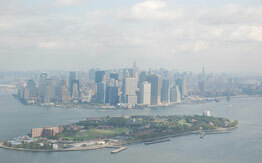 The South Bronx Greenway initiative emerged from a partnership among the New York City Economic Development Corporation (NYCEDC), the community-based organizations Sustainable South Bronx and THE POINT, and Mathews Nielsen, with the goal of developing practical strategies for greening the Bronx environmentally and financially. 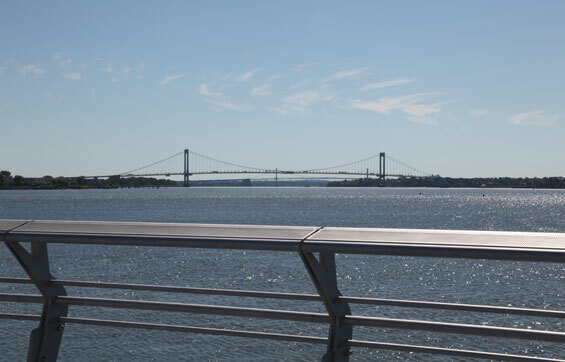 Completed in 2006, the master plan comprises networks of streets and waterfront connections to provide access to the rivers, improved air quality, and alternative modes of transportation. 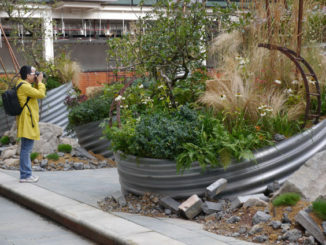 Image Credit ©Mathews Nielsen Landscape Architects.